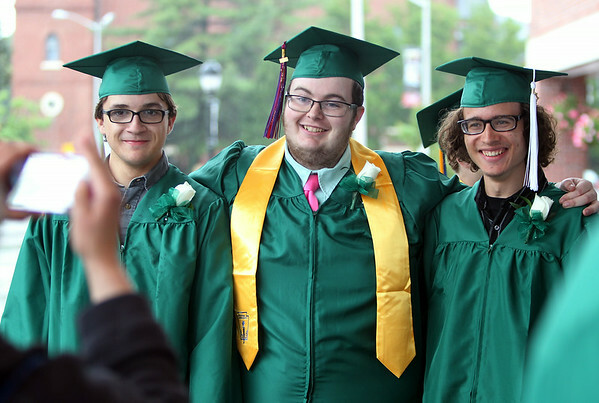 Salem Academy Charter School Atticus Meche, Jackson Stevens, and Benjamin Phillips pose for a photo. DAVID LE/Staff photo. 4/13/14.